Dark Titan Entertainment has officially revealed and announced the date for the upcoming Dark Titan Extended serial-fiction series, Symbolum Venatores. 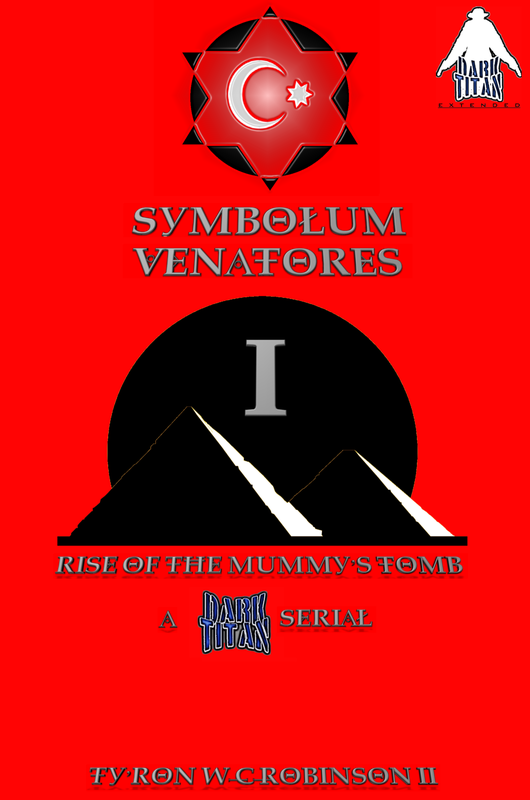 Symbolum Venatores (SymVen for short) is an historical-fiction series that follows monster hunters throughout the annals of time from the ancient past to the current era, the Symbolum Venatores are everywhere and in every form. Beginning this October, Symbolum Venatores will be released monthly through the Dark Titan Digital Store exclusively. Symbolum Venatores #1 is titled "Rise of the Mummy Tomb" and it begins in the summer of the year 1863, following the young monster hunter/ufologist, Gabriel Kane. There, Kane travels to an Egypt under Ottoman rule. While keeping distance from the Ottoman powers that be, Kane discovers an ancient Pharaoh who is alive and well. Dwelling beneath the pyramids of Egypt. Symbolum Venatores #1 releases on October 31, 2018 exclusively through the Dark Titan Digital Store. Created and written by Ty'Ron W. C. Robinson II.